At Beneath The Gown we want you to love bra and undergarment shopping! We aim to offer a stress-free and relaxed environment that will leave you feeling your best. What sets us apart from other bra shopping experiences are our expert bra fitting specialists. 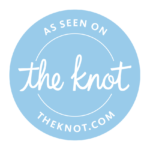 Here at Beneath The Gown we offer expertise, quality products that come in many different sizes and above all the ability to specially customize the fit of your bra on site. Due to the nature of the one-on-one personalized bra fitting experience, we request that appointments be made for all fittings. We want to ensure that our specialists are available for you and that not only is your experience fun with us but also completely customized just for you. We will gladly continue to accept walk-ins and will always do our best to fit everyone in but cannot guarantee a fitting if our schedule and other appointments are already booked. We require a 24 hour notice for any appointment cancellations or changes as a courtesy to our bra fitting specialists and the operation of our business. There will be a $25 cancellation charge to the credit card used to reserve your fitting appointment if proper notice of any cancellations or changes is not given. Fitting fees will only be charged at the end of an appointment should you choose not to make a purchase. The fee will be paying for your reserved one-on-one time for the fitting. We appreciate your understanding and helping us to continue to deliver excellent service here at your local lingerie boutique.